Product people: who are they? Are you a Product person ? 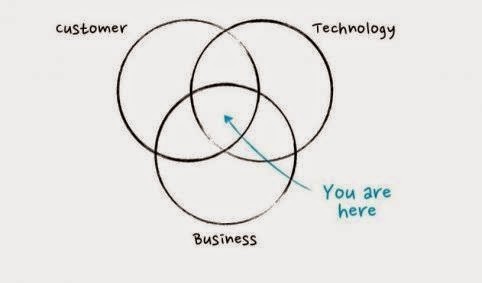 Product managers\owners, entrepreneurs, UX people and even some marketers. The ones who care about solving customer problems, building new products and making the life of both businesses and individuals better. Sounds familiar? Then you're probably a product person yourself. Which is great. Our world needs more product people. Why? Because product people are problem solvers, and who does not want to solve his problems? Should we mention what product is? It does not mean that sales are dead, it's more about the fact that nowadays there are a lot of products and services provided for free and their creators make living from something else. This post is an example of a product: I've written it to solve my problem of structuring information and hopefully your problem of finding information. And it's free of course. So considering that both definitions (of a product and product people) are so broad, can we say that everyone who does something is a product person? Yes, to a certain extent we all product people. And as product people, we need to make product decisions. Moreover, we want to make more right decisions, rather than wrong ones. How to make more right product decisions you can find from the following series of posts. As a bonus, check out the following podcast on Product People.